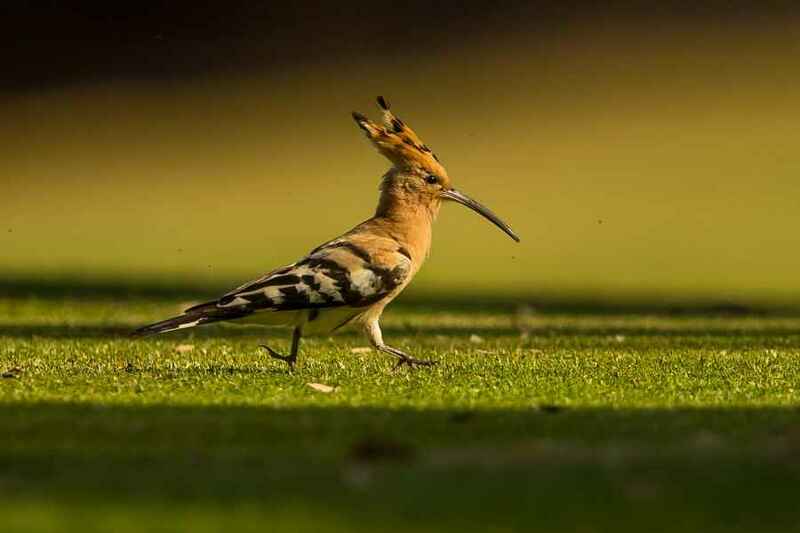 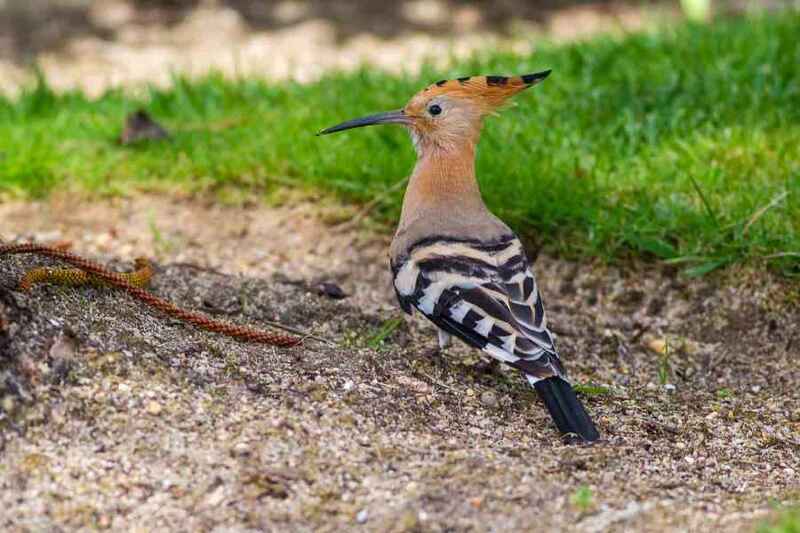 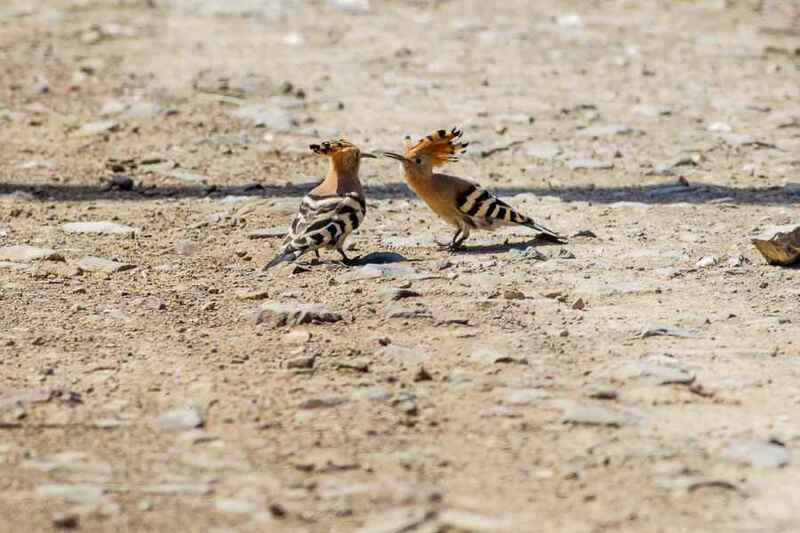 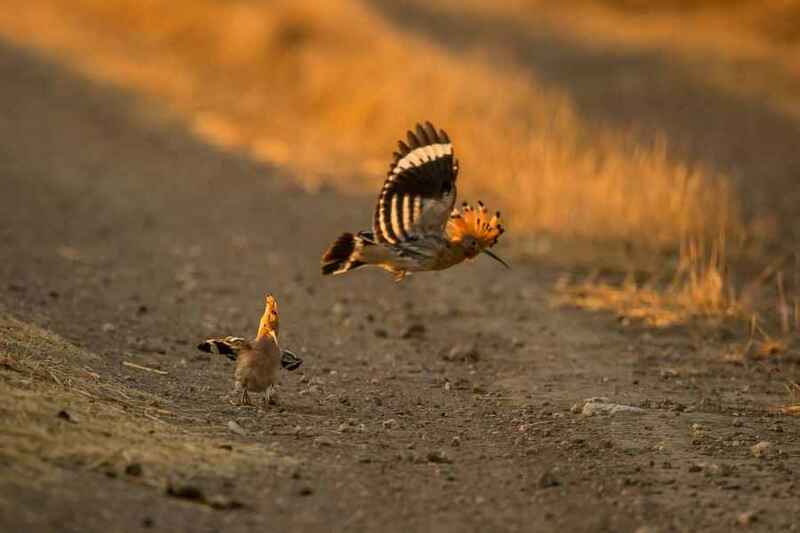 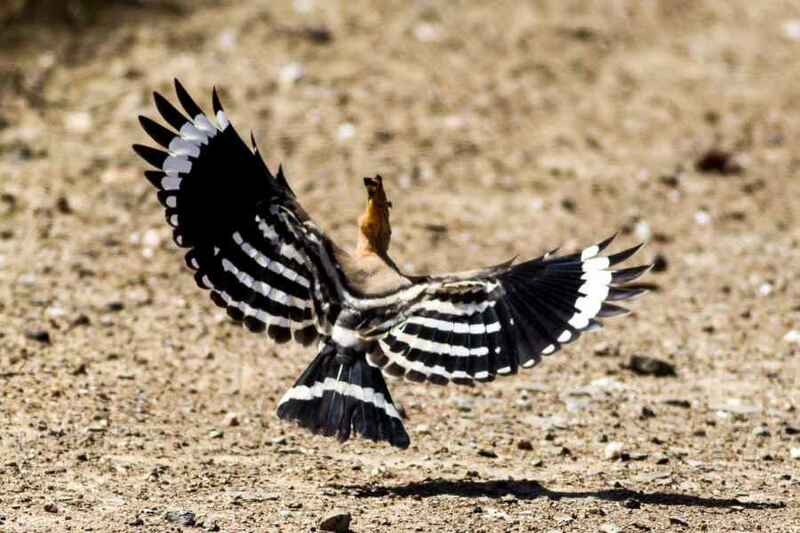 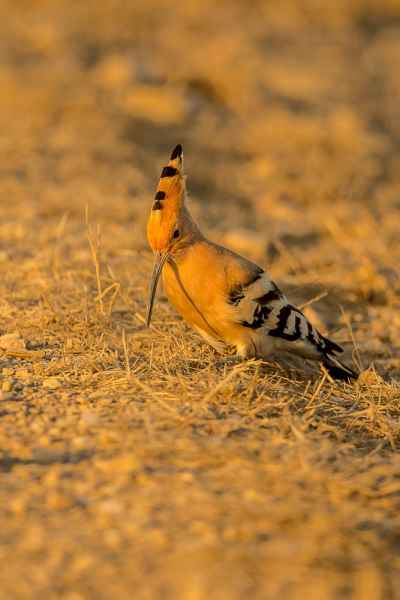 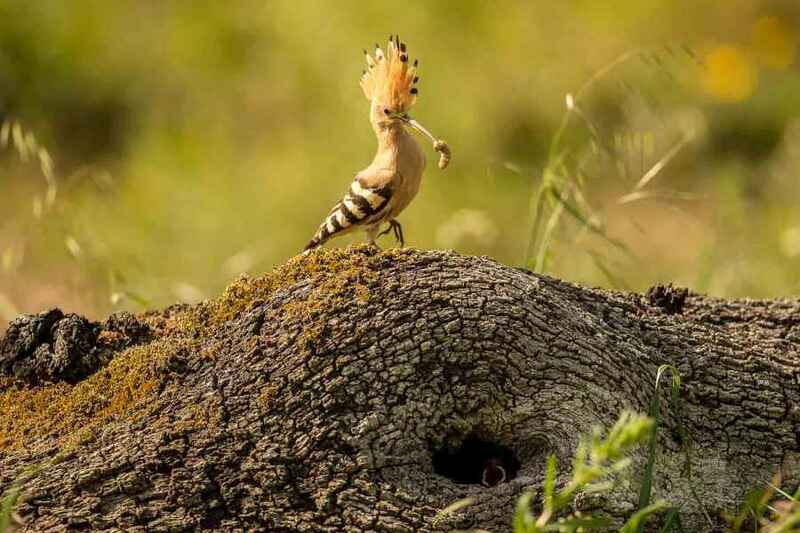 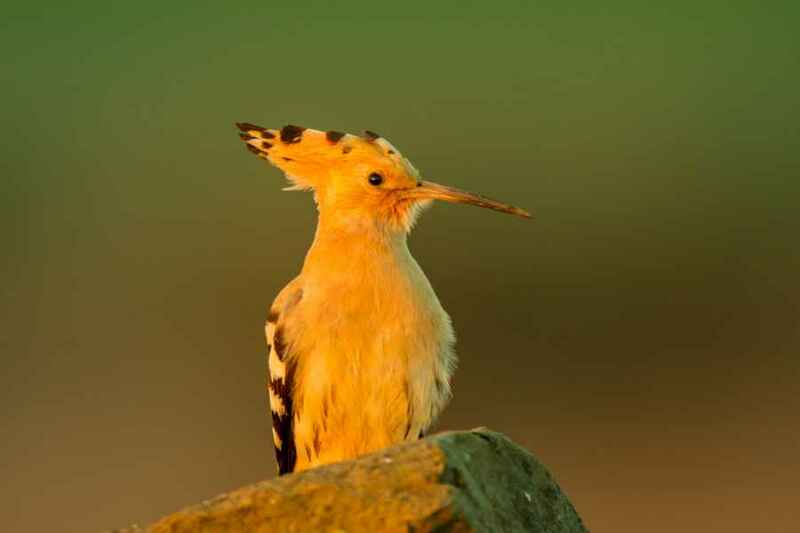 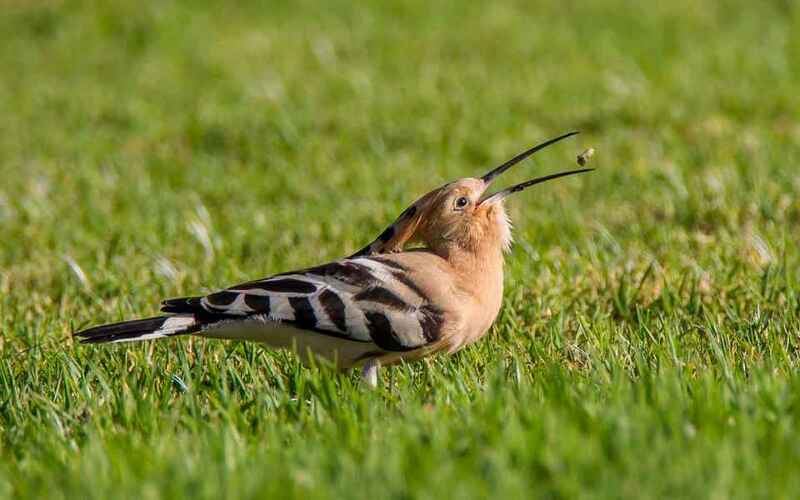 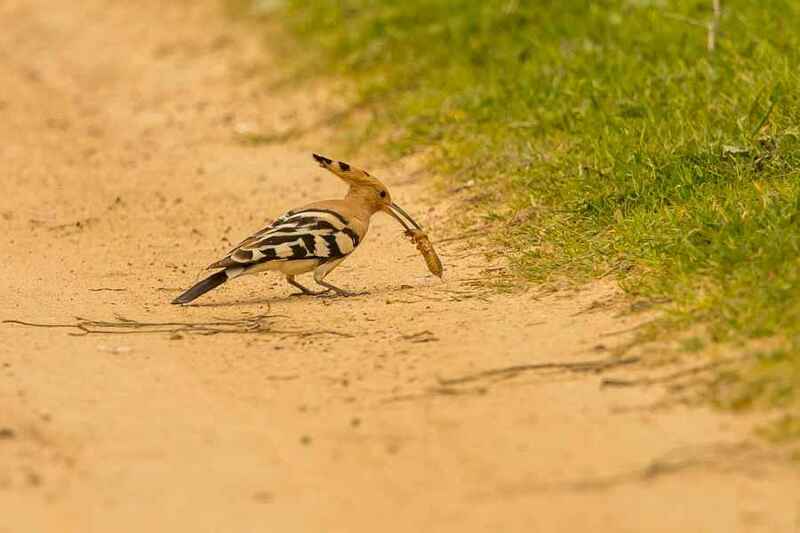 The Hoopoe is an iconic and unmistakeable bird that provides the sound back-drop to nearly all the safari documentaries - even though the Hoopoe you hear in the background of those documentaries is the African Hoopoe, strictly speaking a different species. 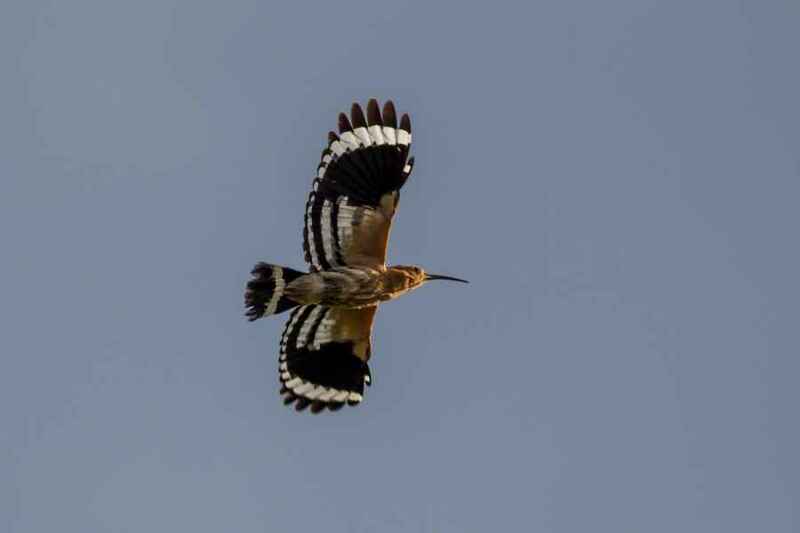 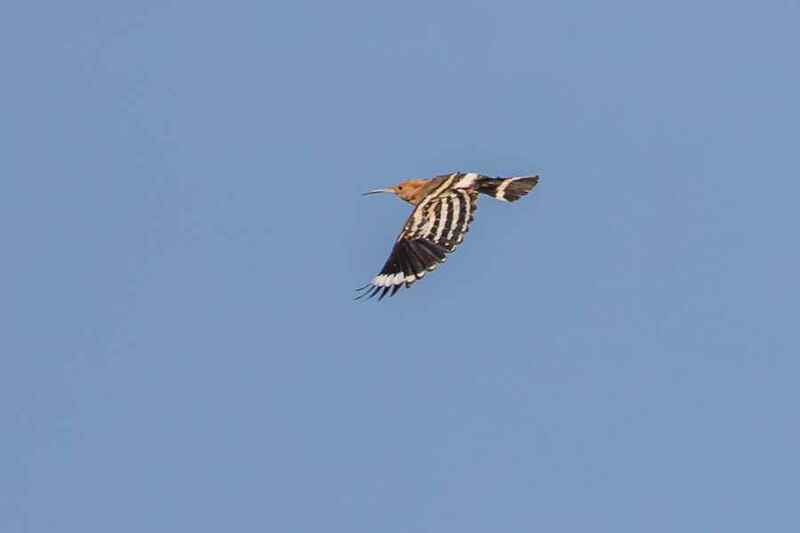 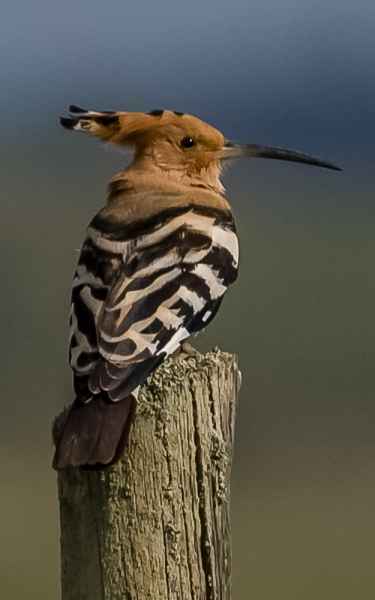 It is resident, has a salmon pink neck, chest and belly, (as opposed to the orange tinge of the African Hoopoe), a large crest that is flattened in flight and normally at other times also, (but is always raised upon alighting as well as various other times), and full-bodied black and white striped wings. 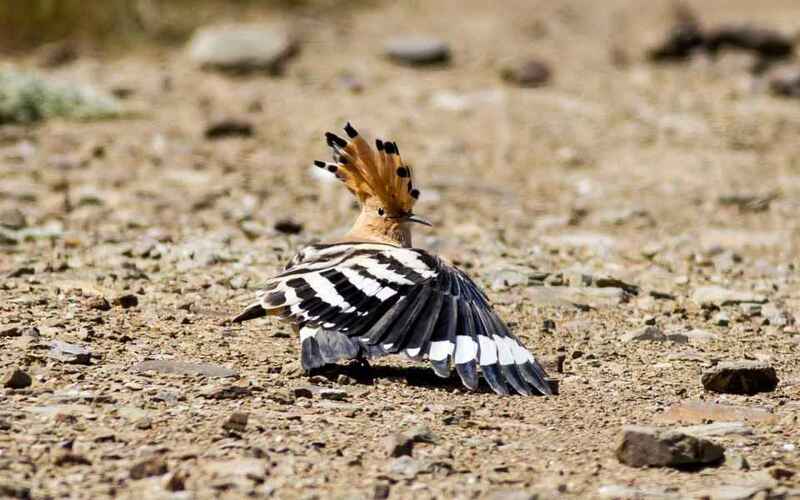 It has a fluttery and easily recognised flight pattern, rather like a butterfly in some respects, and feeds on insects caught by stalking on the ground. 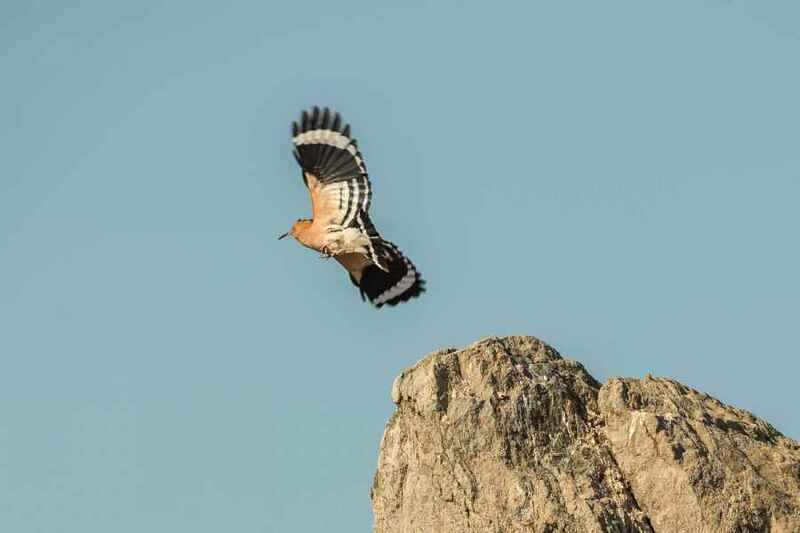 Hole nesting, usually in a tree, but at other times in stone walls and even on occasion at ground level.